The BERLIN BEGINNERS are Anna, Robert and Niko – ambitious unknown Berlin artists driven by their dream to make it in the hard knock world of pop. Their different life phases offer a personal, comical and tragic insight into life's reality for musicians in Germany, removed from glamour and groupies. The 19-year-old high-school graduate Anna still lives at home, looking naively at her future as frontwoman with a guitar. Her mother feels “the world doesn’t need such music.” Her father supports her almost unconditionally – until the first skepticism appears. Niko (34), from Berlin-Neukölln, is chaotic, but honest and direct. Along with his cello “umbra” and a loopbox, this one-man-orchestra roams the land. He struggles through the hard winter on poorly paid appearances. 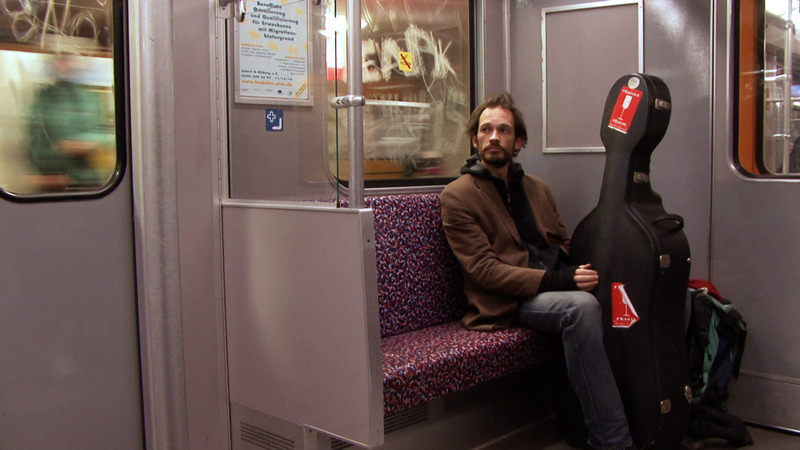 Then he plays his first intercontinental gig – and realizes the big differences to Germany. BERLIN BEGINNERS is a long-term observation in the style of Direct Cinema and the portrait of a jaded society in which you can become anything you desire to be. Nico Sommer was born in 1983 in Berlin. After numerous internships for film and television, he trained to become an assistant director, followed by studies in Feature and Documentary Film Direction at the Kassel Academy of Art. A selection of his films includes: STILLER FRÜHLING (short, 2008), SOLOKIND (2010), SCHWARZ WEISS DEUTSCH (short, 2011), VATERLANDSLIEBE (short, 2012), DIE TAKTSTÜRMER (doc, 2012), MAKING OF LITTLE 13 (doc, 2013), SILVI (2013), and FAMILIENFIEBER (2014).